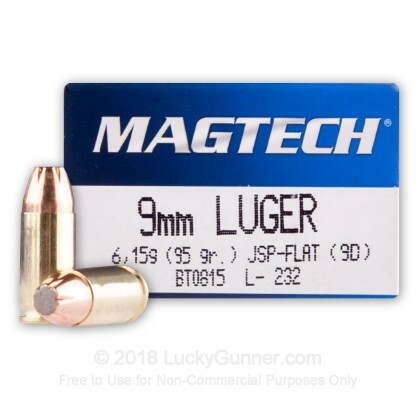 Magtech's 95 gr JSP is a hot load designed to expand on impact with its jacketed soft point design. This load, while light at just 95 grains, packs a punch with its velocity of 1345 FPS coming out of the barrel yielding 380 FT. LBS. of energy. For those who enjoy muzzle flash, and loud bangs, this is it. Also, it packs a punch flying at close to 1400 feet per second out of a glock 19 gen 4. Very accurate, and very clean. I have never fired ANY magtech and had a smokey, dirty experience. As for self defense, it will do the job as well. I started carrying these rounds in my sidearm, a Ruger P-89, while bow hunting. I have shot and killed two medium-large sized black bears and was very happily surprised with the through and through penetration of chest cavity and immediate stoppage of both bears. I now carry this ammo in my concealed carry weapon. This is a hard to find bullet - a jacketed SOFT POINT, not hollow point. This means it penetrates deeply, yet still expands like a hollow point. Similar to what you find in a deer hunting cartridge. 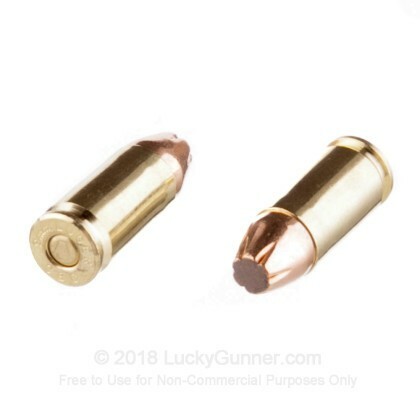 These would be great for woods carry against coyotes, wolves, etc. or for home defense as well. 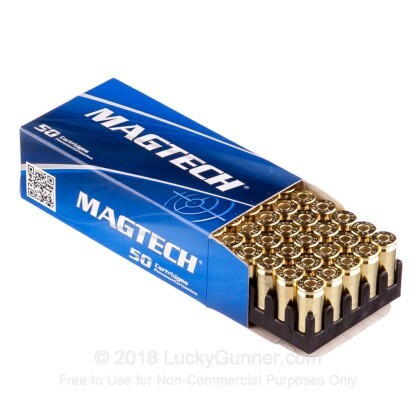 Magtech makes great ammo. I have been shooting this brand for years and it has always been accurate, reliable, and affordable. I got this ammo for my Glock 43 which is used for my off duty. The ammo was priced greatly especially for the quantity. I was very impressed with the fact of the bullet to be softpoint. 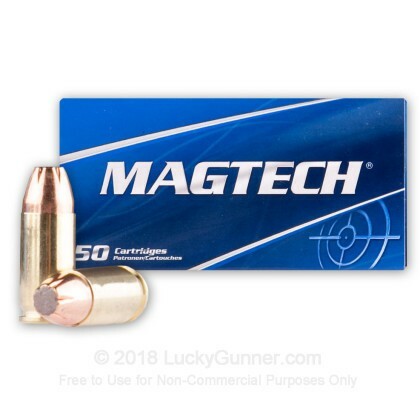 This ammo was the first Magtech ammo I have tried and it was outstanding. I will be using it much more in the future. I fired it out of a Kahr K9, and a Sig 229 and it produced very tight groups with both pistols. At 7 yards off hand it easily and consistently put 10 rounds in less than an inch from a standing offhand position with both guns. All in one hole. Function was flawless and groups were tighter than several other quality brands I have tried. Even though its a light bullet, it's going pretty fast and it felt like a pretty hot round. It seemed like a good duty load for the small K9. I'll be trying more Magtech ammo after this experience. 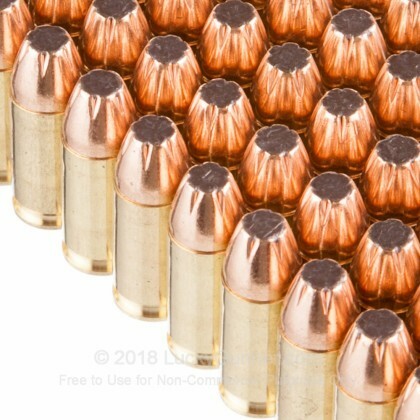 I have put this round against Federal 9mm +p+. and it.out performs it in both my Glock & my Hi Point carbine. It is best of both worlds xpands like hollow point but still penetrates like fmj. The quality is unsurpassed at this price. I luv it 4th of the price. If shtf happens this round will be in my 995 layn out justice anybody comes playn wolf on my road. 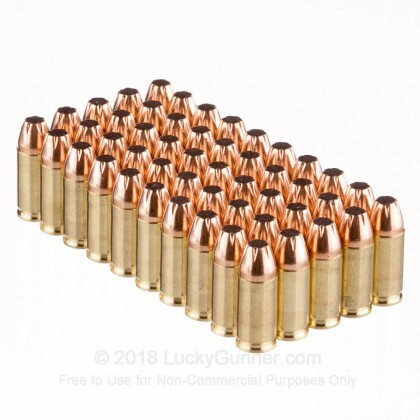 Q: Do you stock 9mm JSP by the 1000 rd case? A: Hi Carroll, we do not have any of our soft point 9mm in case lots right now. Customers tend to use hollow points for self-defense and full metal jackets for the range. We do not typically have a large stock of the soft pointed rounds. Keep an eye on our website and if we do get a sufficient quantity to have a bulk deal, you will see it listed there.